This tech blog covers our experience building our first SAM packaged server-less application. 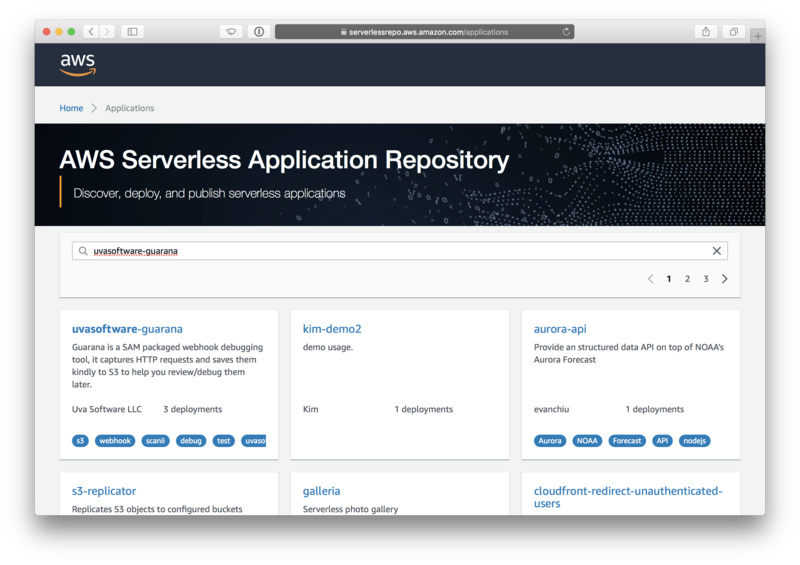 SAM stands for Serverless Application Model and it is AWS’s specification for packaging its lambda functions and auxiliary components in a reusable way enabling you to share (and eventually maybe even charge) others for access to your server-less applications. 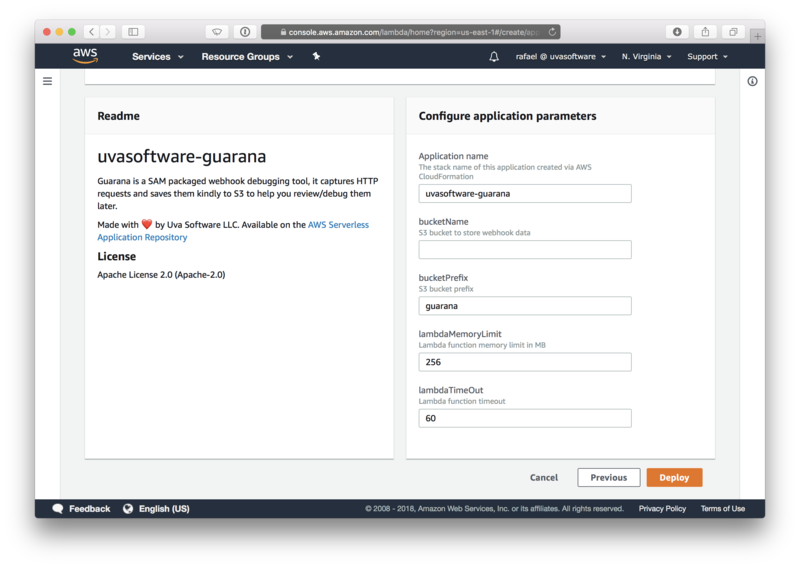 Since lots of our customers rely on our lambda integration to process and analyze their S3 stored files, it made sense for us to investigate how much benefit a customer really gets from a SAM packaged application, after all, deploying our current lambda integration is a sad 10+ step process — so we set out to build a SAM packaged webhook debug tool named Guarana. Technically all you need is a template YAML file that conforms to the SAM specification, here’s ours. It’s like a .travis.yml file but significantly more complex. 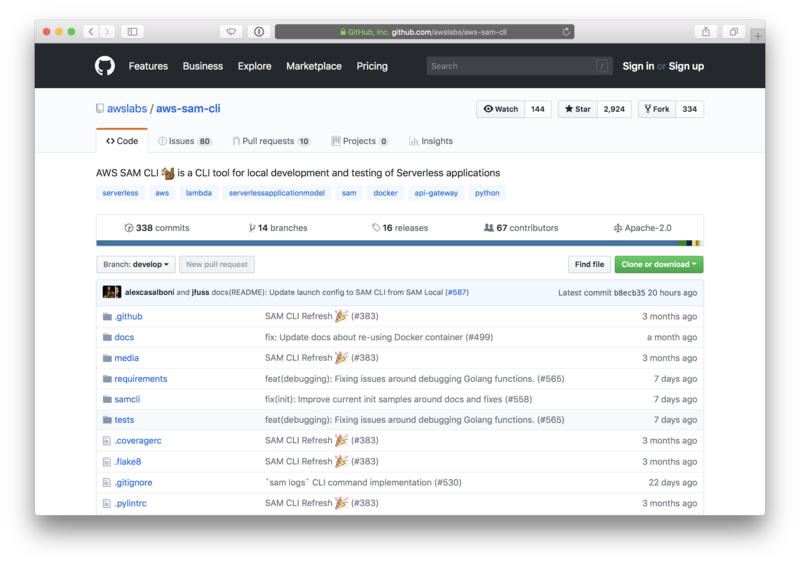 As stated earlier, once you have the template you can have the CLI “package” the application that effectively converts it into a proper CloudFormation file and places your application bits, as a zip file, in S3. - here’s our packaged file. Upgrades work surprisingly well albeit documentation is lacking. 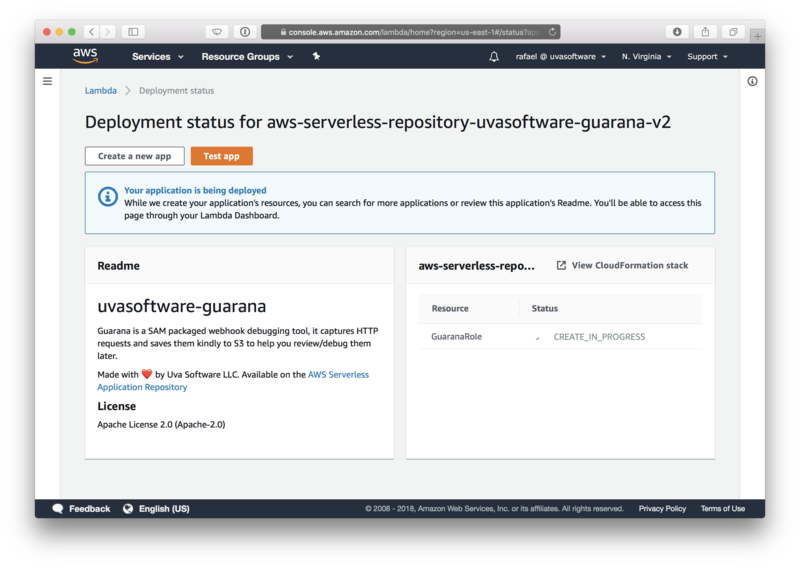 In a nutshell if you have version 1.2.0 of guarana already deployed and you try to deploy version 1.2.1, CloudFormation will identify the same stack name (masked as “application name” in the deploy UI) and perform an upgrade instead of a new deployment, this can even involved using CodeDeploy for complex rollouts with a little bit of logic in your template file. It would be easy to discount SAM applications as a niche AWS feature that will be used by few, even with all its rough edges, there’s still obviously value in it. If you truly believe in a server-less future with small snippets of code as the smallest units of deployment then some packaging standard makes total sense, specially if secondary providers eventually get on board to support term.